How to expertly grill-roast a whole chicken on a charcoal grill. 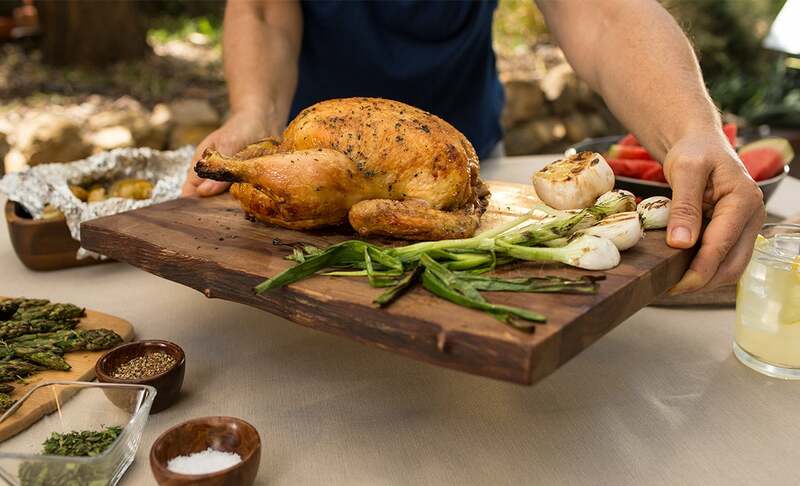 Once you master the simple technique of grill-roasting a whole chicken using Kingsford® Charcoal, you’ll never want to cook a bird inside again. Grill-roasting a whole chicken creates that smoky barbecue flavor everyone loves and requires very little cleanup. Just follow these six easy steps and your grill-roasted whole chicken will come out perfectly every time. For grill-roasting a whole chicken, you need a [two-zone], medium-hot fire. 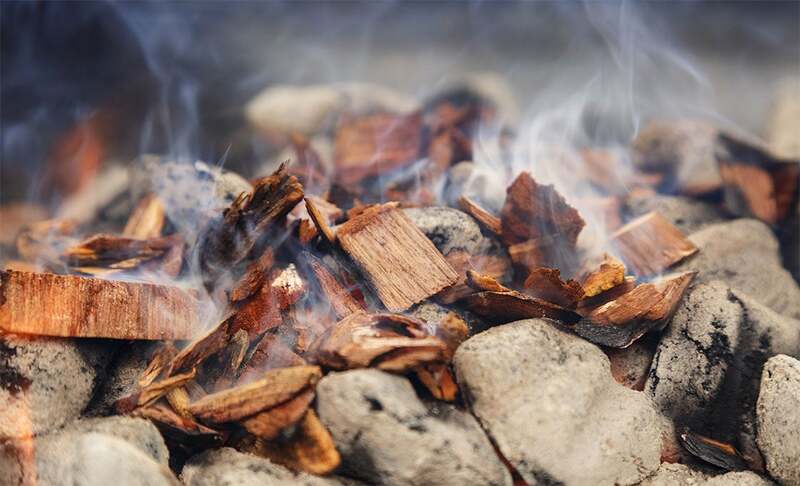 Fire up a full chimney of Kingsford® Original Charcoal, or light a pile of about 100 briquets. When the coals are ready, arrange them in a [parallel configuration]. Replace the top grate and allow it to heat up with all of the vents fully open. Just before placing the chicken on the grill, dip a folded paper towel in cooking oil and oil the entire grate using long-handled tongs. Remove the neck and gizzards, then trim any excess fat. Rinse the chicken in cool water and dry with a paper towel. Brush the entire chicken with oil, then season with your favorite dry rub. If possible, let the chicken sit covered in the refrigerator for an hour or two to allow the rub to penetrate the meat. A bit of smoke tastes great on whole chicken. If you like, add about two cups of Kingsford® hickory or mesquite wood chips. 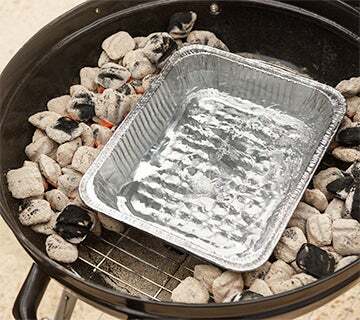 Be sure to soak the chips for at least 30 minutes in water before spreading onto the coals. Place the chicken in the center of the grate (right over the water pan, with coals on either side), breast side up. Close the lid and let the chicken cook for 60 minutes without removing the lid. After 60 minutes, remove the lid every 10 to 15 minutes to check for doneness using an instant-read meat thermometer. An average four-pound chicken will take about 90 minutes to grill-roast. There are two common methods for testing a whole chicken for doneness: 1) Using a digital meat thermometer, insert the tip into the thickest part of the thigh—NOT touching the bone. When the internal temperature reaches 74°C, remove chicken from the grill. 2) Insert a small knife or skewer into the thickest part of the thigh. If the juices come out clear and not pink, the chicken is done. Remove the chicken from the grill at 74°C and let it rest for 15 minutes under a loose sheet of foil. Carve and serve. If you’re grill-roasting more than one chicken at a time, use a vertical chicken roaster to maximize space. Beer-Can Chicken: Insert a half-full can of warm beer inside the cavity and place the chicken upright on the grill, creating a tripod using the can and drumsticks. The evaporation from the liquid in the can helps keep the meat moist and adds flavor. Wine or chicken stock can be used as a substitute for beer. See pitmaster Chris Lilly’s take on beer can chicken. 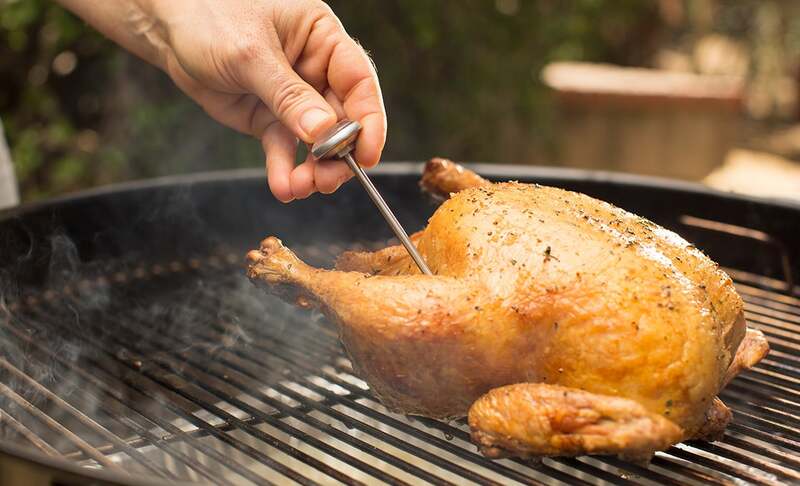 Never use a barbecue fork to remove a whole chicken from the grill. Always use tongs to avoid piercing the meat and letting the juices drip into the fire.